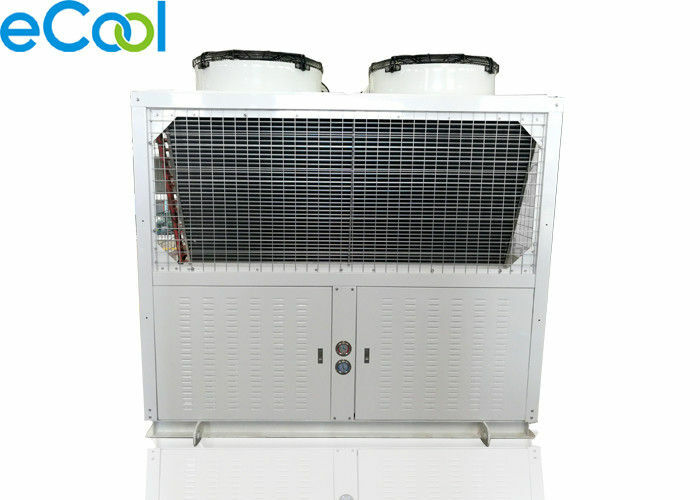 compressor, crankcase heater, oil pressure safety switch (except octagon compressor), air-cooled condenser, liquid receiver, dry filter, high and low-pressure controller, gauge panel, B5.2 refrigeration lubricant, sight glass, protective gas; two-stage models plus intercooler. Every product is tested strictly before getting out of factory including noise test, vibration test, performance test. 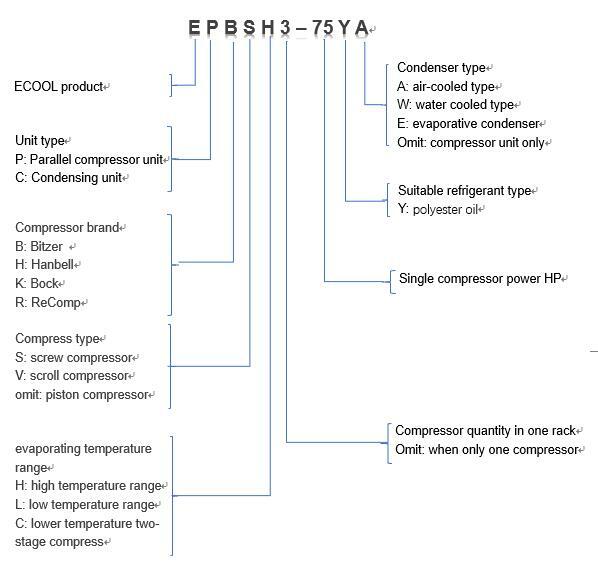 The design makes the unit automatically change the working numbers of compressor depending on system load, which can save your running cost.